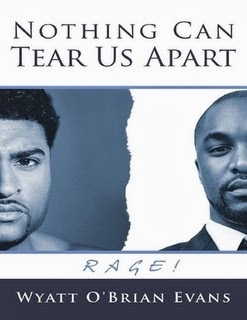 Nothing Can Tear Us Apart Rage is the second instalment by Author Wyatt O'Brian Evans (Check out my take on the first book here). The latest book provides a look into the life of a fictional gay TV Personality who is reeling after a anger fuelled beat down by his partner. So if you need a new book to occupy your downtime, grab it here. I'll be reviewing it very soon so stay locked on to the site for my 2 pence!